People say diamonds are a girls best friend. But they are only rocks with carbon atoms that were exposed to high temperature and pressure for billions of years. And ultimately these carbon atoms were turned into what we call diamonds. A diamond is the hardest material on the earth and the most expensive gemstone as well. Diamonds are not rare but high-quality diamonds that can be used in the jewelry are rare. Most of the diamonds found from the earth are not even a passable size and quality, and are used for industrial purposes. So coming up with diamonds with an acceptable carat weight, color and clarity are hard to find. After all the hard work of digging for diamonds from the earth’s crust, it’s time to convert the rough stone into a shiny and elegant diamond. Diamond cutting is the process that requires modern technology, equipment, and expert hands. Once the diamond is polished, then it can be put into rings, earrings, necklaces, etc. This entire process is one of the reasons why diamonds are so expensive. In addition, the size and quality of the diamond also plays a major role on the price. 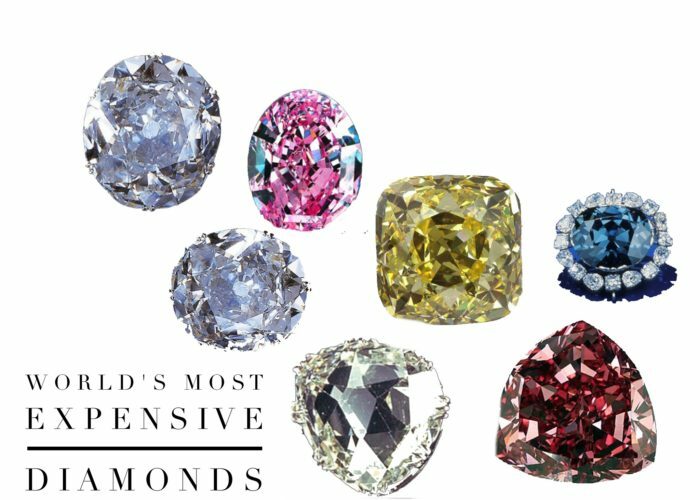 These are the reasons why diamonds are so expensive. Diamond Hedge offers consumers the ability to compare over 1 million diamonds from all the leading jewelry companies in one place. Click here to visit the website and get the best price on the diamond.